SNUBA? Yep, you heard that right! It’s a newer form of underwater diving that combines–you guessed it–scuba and snorkeling. It’s pretty fantastic and one of the best ways to go beyond traditional snorkeling and ease into full on scuba diving in the Florida Keys. And it also happens to be one of the world’s fastest growing resort activities. Imagine that! How Does SNUBA Diving Work? With SNUBA, instead of being equipped with a large oxygen tank or restricted to staying on top of the water, you’re connected to a raft by a 20-foot hose—your own personal floating air supply. This surface-supplied breathing system, developed by SNUBA International, gives you a whole new, exciting way to explore the underwater world. Just think… you get all the thrills of scuba without the heavy gear and hours of training, and all the ease of snorkeling without having to stay at the surface for air. Can Anyone Go SNUBA Diving? Learning to SNUBA is a super easy process that doesn’t require certification or previous experience. You’ll pick it up quickly, even if you’ve never snorkeled before. All you have to do is take a 15- to 20-minute orientation, and then you’ll be ready to go! You can dive at your own comfort, at whatever depth (up to 20-feet) works for you, and rest easy knowing your instructor will be underwater with you the whole time. 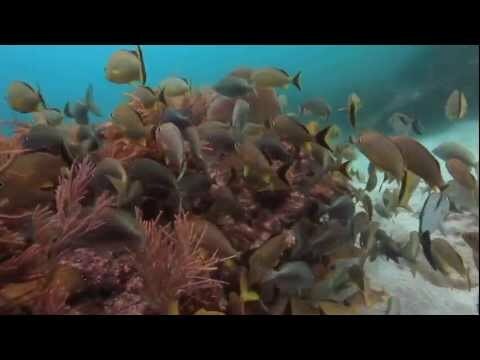 The Florida Keys has the most diverse fish and coral population in the continental United States with hidden treasures and a vast underwater world that is not to be missed. And with SNUBA, it makes exploring that world a lot easier… and even more enjoyable. There are a few different places that offer SNUBA tours. Choose one that works for you and join in on the fun!